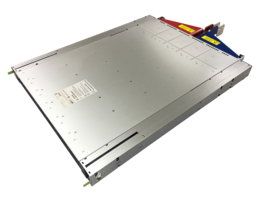 The new SPSPFE3-07 power shelf can configure with up to 6X PFE3000-12-069RA or TET3000-12-069RA hot swap and redundancy capable power supplies. The 240/380Vdc powered shelf provides rectification, system management and power distribution for powering intermediate bus architectures up to 15kW (5+1) in high-performance servers, routers and network switches. The standard shelf comes with multiple protections such as overtemperature, output overvoltage and output overcurrent. The shelf provides full monitoring of supplies, controls and programming when combined with system communications via the I2C/PMBus™ protocol. Santa Clara, CA [August 29, 2018] Bel Power Solutions and Protection, a Bel group company (NASDAQ: BELFA and BELFB) and premier global manufacturer of power management devices, announces the SPSPFE3-07 power shelf, which provides rectification, system management and power distribution from HVDC mains (240/380Vdc) power into a main output of 12 VDC for powering intermediate bus architectures up to 15kW (5+1) in high performance servers, routers and network switches. The shelf incorporates system communications via the I2C/PMBus™ protocol, allowing for full monitoring of supplies, controls and programming. Multiple protections such as overtemperature, output overvoltage and output overcurrent are also standard. An always-on +12 V 60 W standby output is provided, as well as a slot for an optional Network Attached Controller, which can be included in the shelf or bought separately. The Network Attached Controller provides monitoring and control functions through a 10/100 MB base Ethernet port and can be connected directly to the data center management network. SPSPFE-07 samples are available upon request. For more detailed information, visit the OCP Data Center Solutions page here or download the datasheet. For technical inquiries, send an eMail to Tech.Support@psbel.com, call +1 866-513-2839 for North America and +49 6172 95520 for EMEA or visit belfuse.com/power-solutions.